Do you have any about following DRI heat wheel? The label says desiccant wheel. Have you seen the equipment? 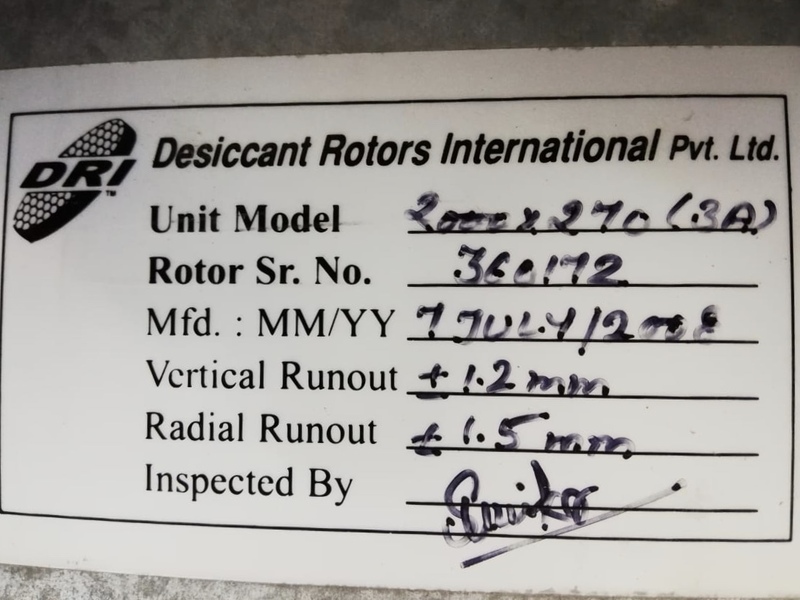 Desiccant wheels usually have some form of a regeneration cycle. I didn't write the book I just read it!